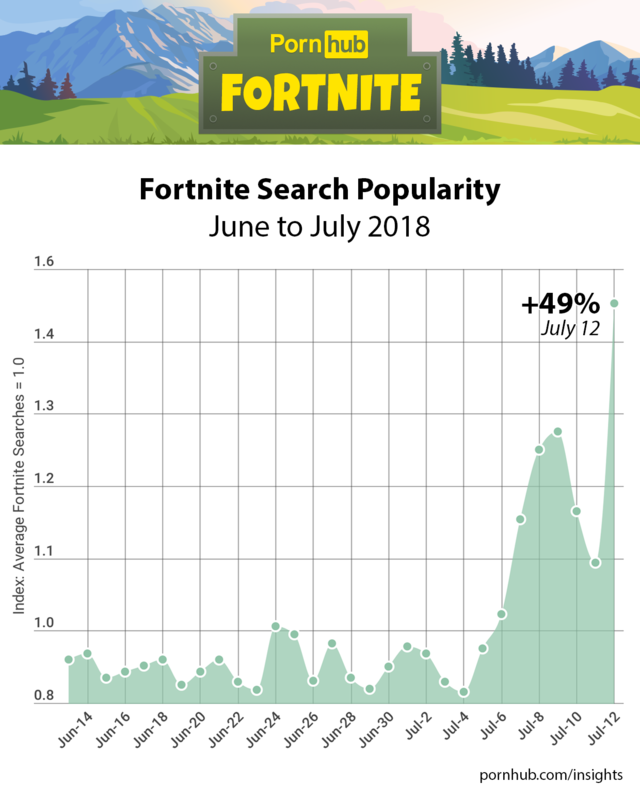 Since the launch of Fortnite Battle Royal in September 2017, searches containing “fortnite” have grown steadily on Pornhub. As detailed in our earlier Fortnite Insights, searches had previously peaked on March 15 after Drake played the game live on Twitch. Since then, Fortnite has remained in Pornhub’s Top 20 searches, with an average of over 100,000 unique searches every day! July 12 began Season 5, so Forbes asked Pornhub’s statisticians to see if the new updates had any effect on searches. 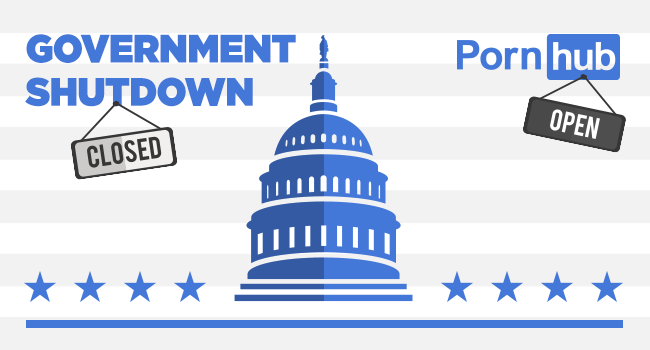 We found that searches grew in the days leading up to the anticipated launch, then gained an impressive +49% on July 12. 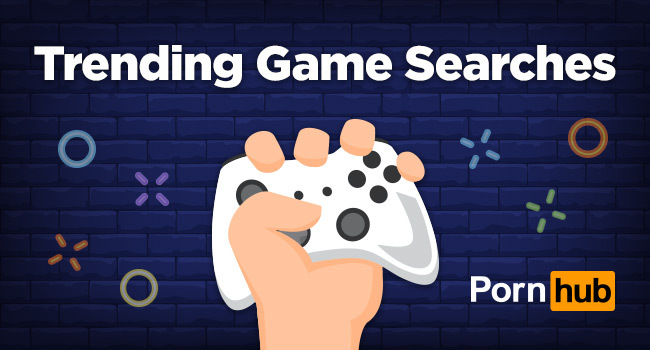 That brought “fortnite” into Pornhub’s Top 15 most popular search terms. Fortnite fans anxious to try the new updates crowded the game’s servers, causing them to crash and go offline around 9pm (ET). 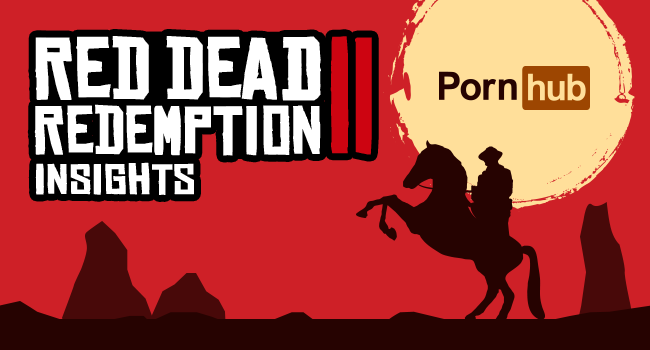 It’s seems that when gamers couldn’t connect to play with their online friends, they instead went to Pornhub to play with themselves. 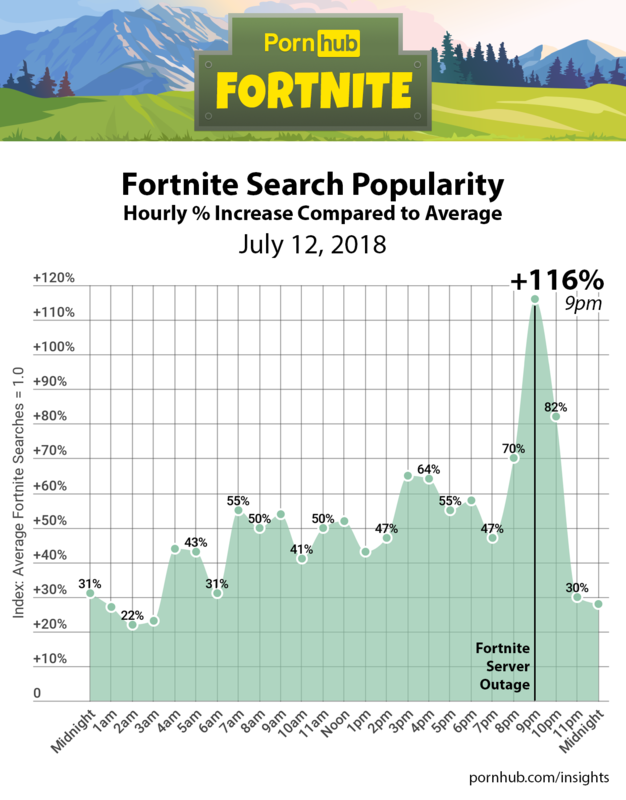 After the servers went down, searches containing “fortnite” increased by +116% when compared to the same time period on an average day. This wasn’t the first time a server crash caused a change in Pornhub’s “fortnite“ search levels. On April 11 Fortnite’s servers were down for nearly a day, causing a +60% increase in searches, as detailed in our Fortnite Server Outage Insights.